Hello! My name is Rachel. 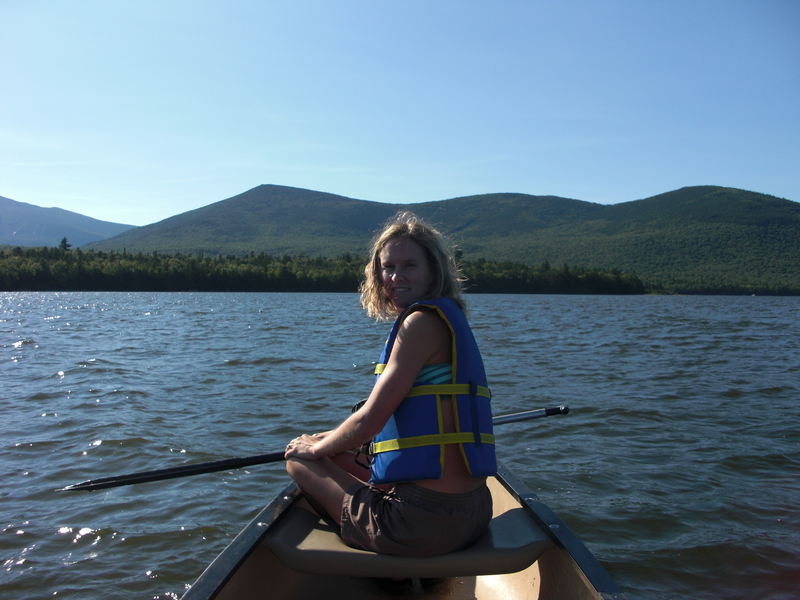 I’m canoeing in Lake Katahdin, Maine in this picture. I live in San Francisco with my husband, Lee. We are still getting used to civilization after sailing down the East coast of the U.S., the Bahamas, and the Caribbean. Who knows what we’ll do next! I’m originally from California. I studied anthropology and linguistics in college and have a masters in museum anthropology. That means I’m a culture junkie, would live in a museum if they let me, and dabble in linguistic nerdyness. I’m an avid outdoors girl. I love to swim, sail, run, hike, EAT, and practice yoga. Of course, I love to bake! Muffins are the ultimate baked good as far as I’m concerned (they’ve got bread, cake, and cookies wrapped into one package). They were also one of the easiest things to fit in my tiny boat oven. The guy who consumes all my kitchen experiments is a big egg sandwich fan so I get a lot of practice making those. Hello do you have a direct email address i work for a PR firm in SF and i am generating a list of online food bloggers that our clients may be potentially featured in. thanks in advance.